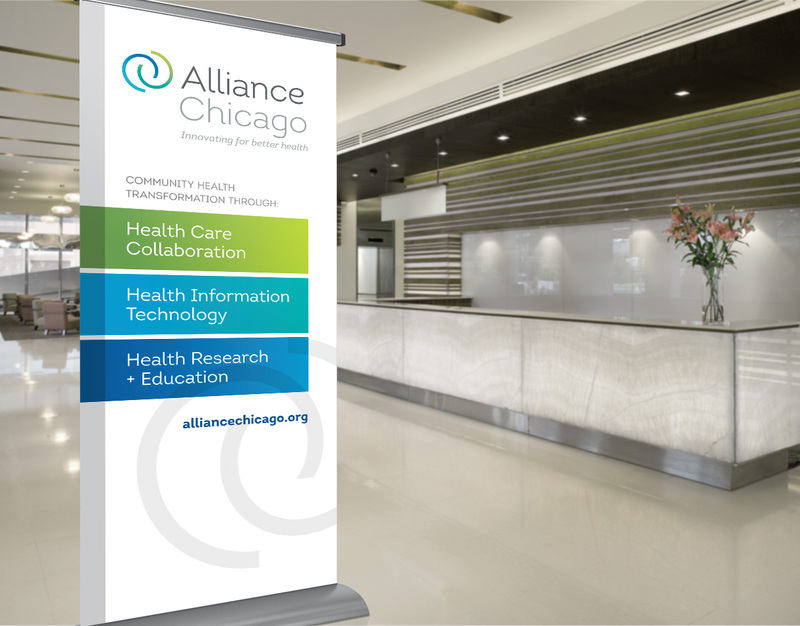 Built on collaboration and innovation, AllianceChicago (AC) is dedicated to advancing health in underserved populations. 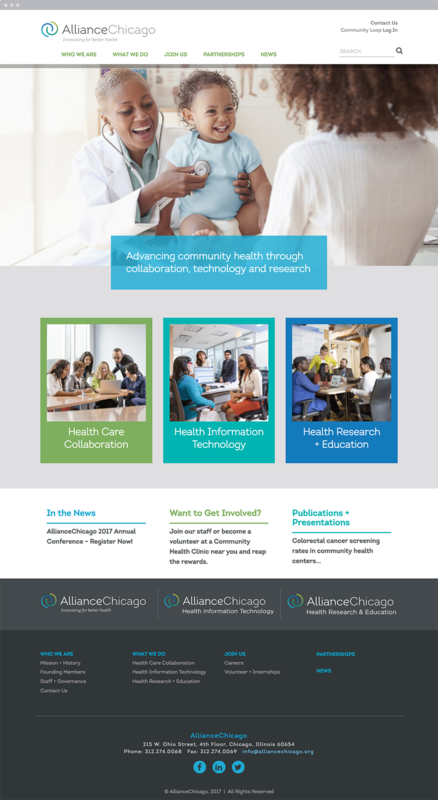 In the 90s, that meant creating a common tech infrastructure amongst community health centers. Since then, AC’s work and network have evolved and expanded dramatically. 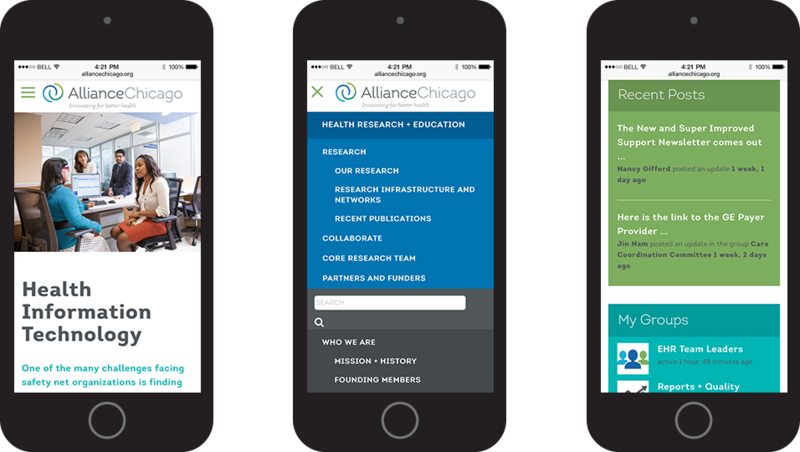 So when they needed to rethink their place in the market, they engaged us for a brand overhaul and a brand new website. Our inspiration? 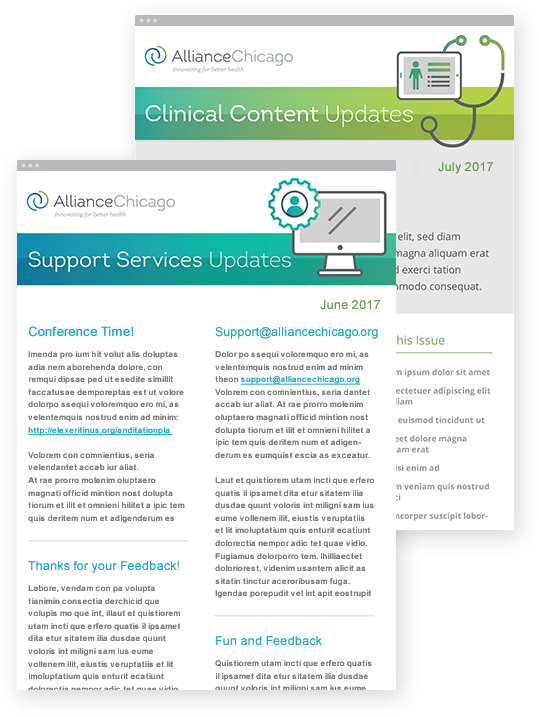 AC’s collaborative attitude and energy of innovation in an ever-changing health care environment. 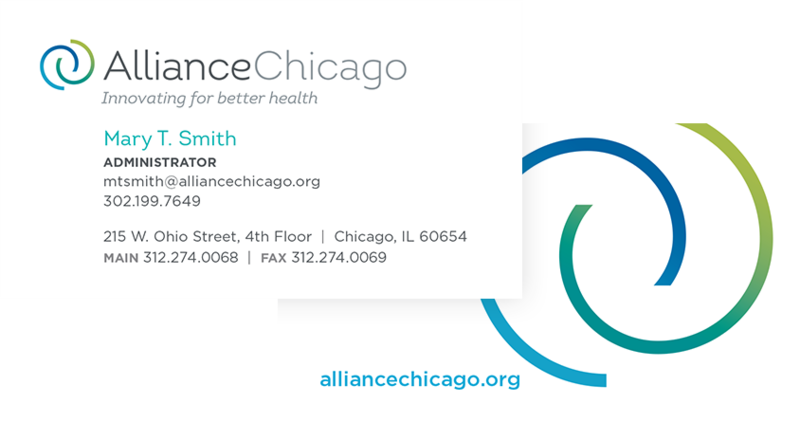 The spiraling elements of the logo reflect this spirit and the website reinforces it, addressing the complex scope of AC’s work within an intuitive structure, user-friendly navigation and responsive interface. A member-only social networking platform simplifies information exchange, email communications and updates. 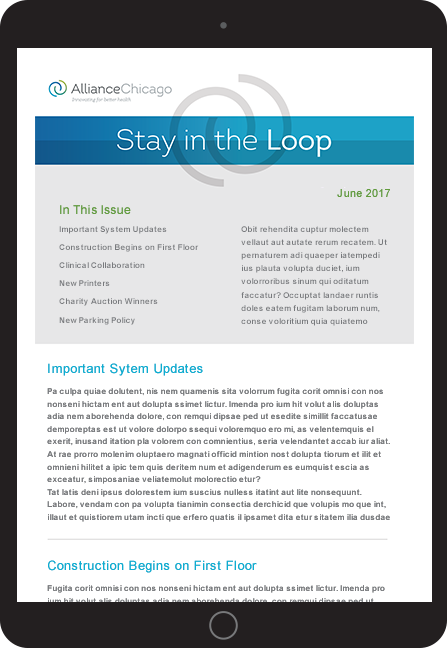 AC’s customers, partners and staff are thrilled with the website’s visual appeal, performance, and ease of maintenance. Hits to the website and social media are growing exponentially—including a fivefold increase of Facebook likes.